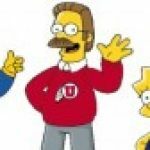 Considering how dominant Utah has been in Special Teams the last decade, how brutal would it be to have our best team not reach their potential because we have mediocre special teams? Anyone know if Slalom is a strength or a weakness of the team? Should we feel comfortable with our position? have any shot at the next level? College basketball is so hard to watch. Call a foul on every possession practically. I used to hate the NBA but its growing on me because the players are actually able to play. Pretty cool that the University decided to launch a varsity Lacrosse team, the furthwest program in the country. They have their first game today against Vermont. Anyone know if it will be streamed anywhere? Clearly a recruit, but I know nothing about him. Info please? I’m not sure what you were watching, but it seems pretty apparent to me that Huntley is a demonstrably better QB than Shelley. I like Shelley and he did fine, but Huntley was clearly better. I wouldn’t move Huntley at all. Because fans love it, it is intense, and draws more eyeballs than any other Utah non-Conference game and even most conference games. Rivalries are the best part about college football, yet some people for inexplicable reasons want to abandon one of the best rivalries in the country. If you think Utah will be better off without Whittingham, I’ve got a bridge to sell you. It is hard to find a quality head coach that can consistently win and keep a team in the conversation, especially at a place like Utah where it is harder to recruit to. We’ll see them in the title game next season of course! Isn’t Sanford a pretty solid OC, but a terrible HC? If my perception is correct, I’d be fine with such a hire. I think too many still have PTSD from the 80’s and being BYU’s little brother for so long. You do know that Anderson can still be the replacement for Whitt if Utah wanted him too, right? Yup, we have everything lined up to win the Pac-12 next season. The last thing we need is to lose our OC is coming into his own. I really, really hope he doesn’t take it. Yup, the reality is, the West (both the coast and mountains) are more apathetic to sports than other regions. I attribute it to having a lot more to do. People have more things to fill their time out west than they do in the South. It doesn’t just matter more out West. good heavens. Some people… What do you want them to do? They’re injured, can’t play, and probably would just be in the way.